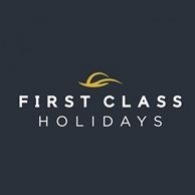 Average rating of 0.0 for all First Class Holidays trips. Toronto is a melting pot, exciting and full of fun. There's plenty to keep you going after you've explored the sights. Niagara Falls is one of the nature's wonders and Canada's most visited attractions. Sail past the township of Russell and many of the historic and culturally significant islands in the Bay. The hundreds of sailing boats in Auckland harbour are an amazing sight and have gained New Zealand's largest city the nickname "City of Sails". Across the harbour is Waiheke Island, home to some of the best vineyards and wineries around and everywhere you'll find happy people and a relaxed laid back atmosphere. Visit New Zealand’s Treaty House where the Maori and representatives to the Queen signed the infamous Waitangi Treaty in 1840.